Verified Supplier - Yantai Shijin Machinery Co., Ltd. Application: Break up frozen ground, rock, and paved areas with ease. Verified Supplier - Jiangxi Hengshengda Casting Co., Ltd. Verified Supplier - Xiamen Worthpart Machinery Co., Ltd. Verified Supplier - Jiangyin Zhengcheng Machinery Co., Ltd. Verified Supplier - Xiamen Doolin Construction Machinery Co., Ltd. Verified Supplier - Yantai Panda Equipment Co., Ltd. Verified Supplier - Huamaoji Construction Machinery Trading (Beijing) Co., Ltd. Verified Supplier - Yantai Li Gong Machinery Equipment Co., Ltd. Verified Supplier - Jingjiang Yisheng Construction Machinery Co., Ltd. Verified Supplier - Changzhou Raymond International Trading Co., Ltd. Verified Supplier - Xuzhou Rainbow Machinery And Equipment Co., Ltd. Verified Supplier - Yantai Tedy Construction Machinery Co., Ltd. Verified Supplier - Jining Bairuize Electrical Equipment Co., Ltd. Verified Supplier - Yantai Huhui Trade Co., Ltd. Verified Supplier - Yantai Jiangtu Mechanical Equipment Co., Ltd. Verified Supplier - Xuzhou Shenfu Construction Machinery And Equipment Co., Ltd. Verified Supplier - Luoyang Guanzhuo Heavy Equipment Co., Ltd. Verified Supplier - Changzhou Chuangcheng Precision Machinery Co., Ltd. Verified Supplier - Xiamen Globe Truth (GT) Industries Co., Ltd. Verified Supplier - Shanghai Shingmore Bridge Imports & Exports Co., Ltd. Verified Supplier - Hangzhou Qiangang Engineering Co., Ltd. Verified Supplier - PERFECT HEAVY MACHINERY SDN. BHD. Verified Supplier - Evangel Industrial (Shanghai) Co., Ltd. Verified Supplier - Jiangsu HengNuo Construction Machinery Co., Ltd. Verified Supplier - Jining Changsong Construction Machinery Co., Ltd. Verified Supplier - Sanha Machinery Tech (Shanghai) Co., Ltd. Verified Supplier - Jining Infront Construction Machinery Co., Ltd. Verified Supplier - Xuzhou YF Bucket Machinery Co., Ltd. Verified Supplier - Ransun Heavy Industry Technology(Shanghai) Co., Ltd. Verified Supplier - Jining Dingtai Construction Machinery Co., Ltd. Verified Supplier - Shandong Mingde Machinery Co., Ltd. Verified Supplier - Yantai Jisan Heavy Industry Ltd. Verified Supplier - Luoyang Guanjie Push-Pull Cable Controller Co., Ltd. Verified Supplier - Jining Songji Construction Machinery Co., Ltd. 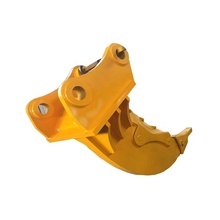 Verified Supplier - Xuzhou Yuan Feng Construction Machinery Co., Ltd. Verified Supplier - Yantai SC Equipment Co., Ltd. Verified Supplier - Xuzhou Bonovo Machinery & Equipment Co., Ltd.
Want product and industry knowledge for "the ripper" ? Do you want to show the ripper or other products of your own company? Display your Products FREE now!